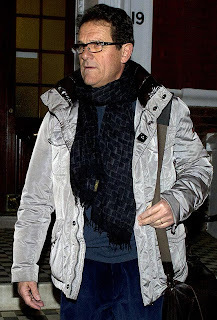 Fabio Capello was either incapable or unwilling to accept that, and so said “ciao!’’ to his $9 million-a-year job as England coach. In doing so, the Italian demonstrated how little he learned about the English psyche in four years in charge of the Three Lions. By suggesting that the Terry case isn’t an issue for soccer to take a stand, that the Chelsea defender should remain England’s captain because he is innocent until proven otherwise, Capello fell out of sync with both the FA and all those in England of various colors and political persuasions for whom the FA did the right thing. It’s often wise to be skeptical of politicians who milk the passions and popularity of sports to score easy points. But Prime Minister David Cameron’s assessment of how Capello misjudged English moods was spot on. Terry stoutly insists that he didn’t racially abuse Anton Ferdinand. If he is cleared at his trial in July, the FA decision to strip him of the captaincy will seem in hindsight to have been unfair, just as Capello suggested. But the FA has a brand — England — and the reputation of English soccer to protect. It and others have worked hard — and still have work ahead — to rid the English game of racism. A head-in-the-sand, “not our problem’’ approach from the FA to the Terry case would have raised questions about English soccer’s dedication to the anti-racism cause. 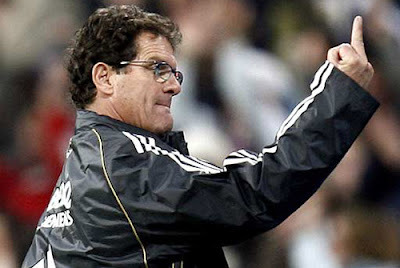 Capello seemingly didn’t grasp that. His argument that it is not for “sports justice’’ to judge whether Terry committed a crime missed the point and took an overly narrow view of the issues. The FA wasn’t judging Terry by ending his captaincy now. Instead, it was protecting itself and the image of England should he be found guilty later.